Since its inception, Valore has placed many teachers in Asia and in the U.S. Many schools report to have a significant impact by our international teachers and are pleased those teachers have elevated students’ learning and broaden their cultural view of the world. Teacher works at school based on contract like local teachers and with renewable up to six years depending on visa category. We know that bringing international faculty on board is not an easy task. With assistances from Valore, we ensure you will have a great experience working with international educators. Valore works with many organizations around the global to bring certified teachers who are accredited in their native country to your school. If your school does not have enough student enrollments in specific classes, such as Chinese, Russian or Korean but you need part time teacher for those classes. Don't worry, many of our foreign teachers can teach both foreign language and other subject such as Chinese and Math or ESL and English…etc. All teachers in our program have equivalent of experiences and credential as US teachers with three years or above and are ready to be recertified. Additionally, teachers will gladly adhere to the existing hiring or emergency certification-related policies and procedures for out-of-country certified teachers as defined by a particular school district, state or region to meet compliance regulations. English proficiency is one of our key selection criteria for our international teachers. Many of our teachers have scored a high grade in TOFEL or TSE and have learned the English language since primary school. Additionally, the official language in Philippine is English and teachers are required to use English as the instruction language in school. In addition to our standard criteria set for our teachers, Valore will also select candidates based on your school or district’s specific requirement and forward teachers’ documents for further selection. The following is our standard recruitment procedures. All of our teachers will have their credentials evaluated and be able to obtain a teaching license within the required time frame. Valore will host an annual Teachers Job Expo in March. Many teachers from China and other countries will attend the event. School officials can interview and hire teachers on the spot. Only licensed teachers are permitted to enter the event. Valore will arrange all traveling including housing and meal with bonus tour at a minimum cost. Interview can be conducted through video conference, phone and or web cam. School officials will be able to review selected candidates’ video/audio presentation. Valore will coordinate with interview schedule. Due to time difference, it is best to conduct morning interviews but our teachers can accommodate the interviewer’s schedule at any time. Valore provides ongoing support to our teachers and schools. All teachers in our program will be provided with information of US customs and laws, school policy and a directory guide before their arrival to the school. Encourage our teachers to participate in our online forum to get to know others and share experiences in teaching, culture or some other aspects. Valore has brought many teachers from the US for culture and language exchange. 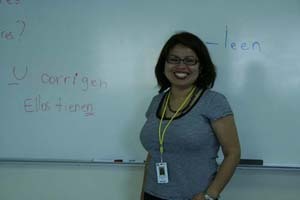 Our teachers from the US mostly teach English and some for Business related courses or medical classes. For more information about China program including Hong Kong and Taiwan, click here. 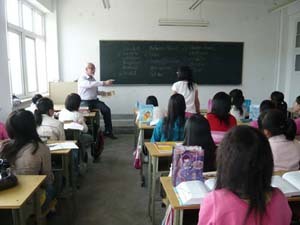 We also help schools in the U.S to seek partnership or affiliated program oversea. Many schools in China, Hong Kong or Taiwan are looking for partner schools oversea to establish educational programs or joint venture. If your school is planning to reach out internationally, we can help. We have helped schools to establish cooperation in the following programs. We prepare or assist your school for a proposal based on request and present it to the schools that have in mutual interest. For more information, please contact us or call 512-535-6699.